I must say, I'm more of a dog man myself, but this is one instance where cats come out trumps. 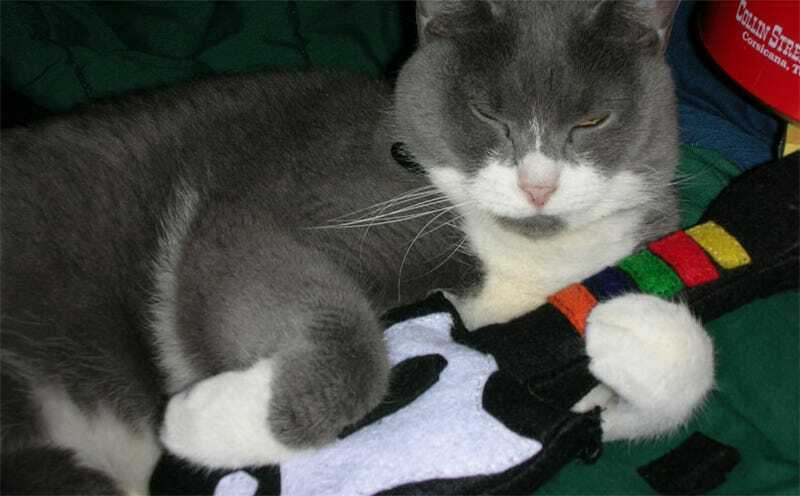 A dog would probably try and eat these adorable controllers, where a cat just...cuddles. It cuddles the guitar, at least. Which is what it's supposed to do. These are gadgets for cats, after all. The Wii Remote, NES pad and 360 controller look a lot less relaxing, though. More antagonistic. Like a 21st century ball of string.